This summer term has been an incredibly exciting and rewarding time for the National Space Academy, with the team not only growing in number and expanding into new regions but also the reach and impact of the Space Academy being felt more than ever across schools, business and education organisations throughout the UK. 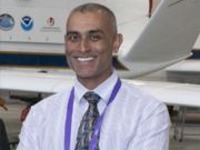 The National Space Academy is pleased to announce that Anu Ojha, Director of Education and Space Communications at the National Space Centre and Director of the National Space Academy has been awarded an OBE (Order of the British Empire) for services to science education. 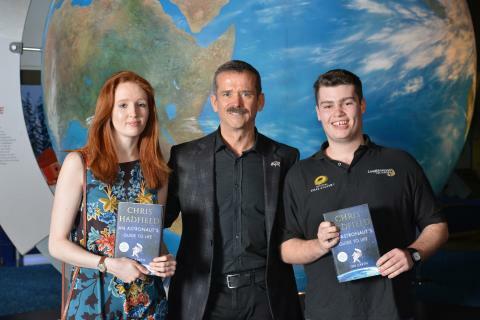 At the end of last term students from the National Space Academy and Loughborough College's pioneering Space Engineering course were invited to attend a Q & A session with former NASA astronaut Colonel Chris Hadfield. A new year, a new term, and plenty of new things on the horizon for the National Space Academy. 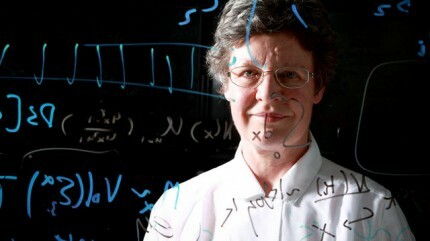 Upcoming events include a free Year 12 careers event with a keynote from Professor Dame Jocelyn Bell Burnell, teacher training sessions in physics and chemistry, and a number of free Lead Educator showcases across England. 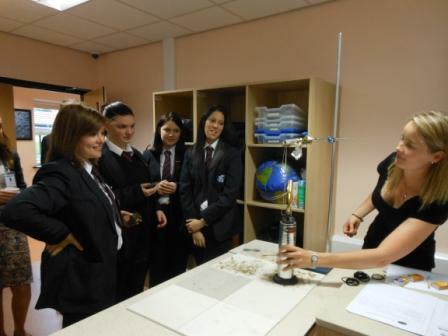 The second of the two winning reports on the Girls in Physics day at the Priory Academy LSST was written by Hannah Armson, a year 11 student from Walton Girls' High School, shown here with her team testing their heat shield. Her report was very clear and features labelled images to take the reader through the day. 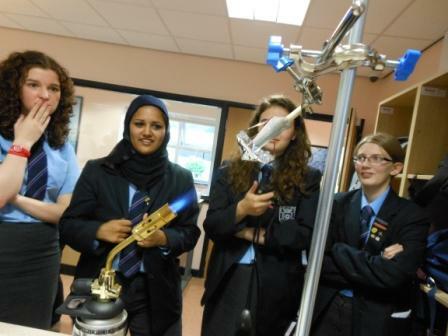 Earlier this term the National Space Academy supported a Girls in Physics event. Students who took part in the event were asked to write a report on the day. The following is the first of two winning reports written for this website by the girls, and was written by Saima Siddiqui from year 11 of the Priory Academy LSST. The start of September saw Edinburgh host the Living Planet Symposium, a gathering of experts on Earth observation science. 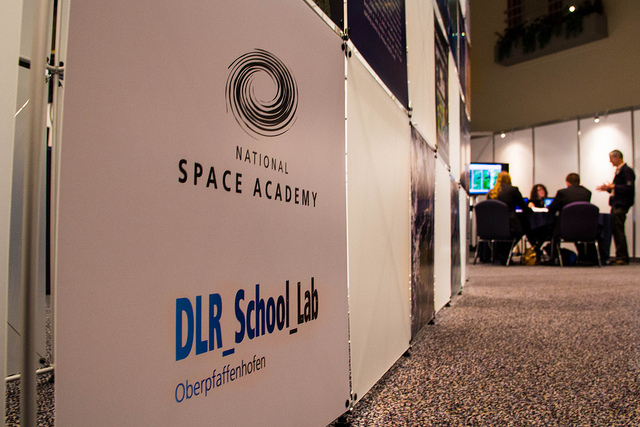 As part of creating an impact from the symposium on awareness of the science involved, several key partners put together activities for a "Schools Lab" running concurrently with the symposium. National Space Academy Director Anu Ojha was there demonstrating how Earth observation science can be used to tackle classroom topics. The National Space Academy's Kierann Shah and Sophie Allan attended an event organised by Lead Educator Ruth Rowsell designed to get year 11 girls thinking about studying physics at A Level and beyond. The event was supported by The Ogden Trust and The Institute of Physics and invited five schools to bring a team of four capable female science pupils to design and test a thermal protection system, or 'heat shield', for a vehicle re-entering Earth's atmosphere. 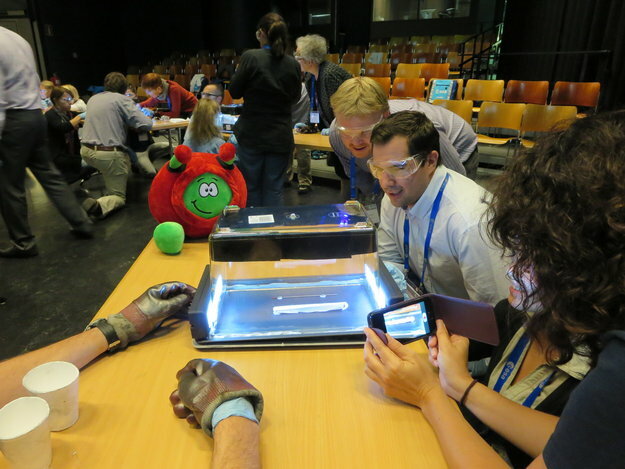 This August saw the 4th annual ESA Summer Workshop for Teacher's take place at ESTEC in the Netherlands, and once again the National Space Academy was there to challenge teachers to bring inspirational space science contexts into their classrooms. Boulby Underground Laboratory, an STFC facility, is featured today in a BBC article on how the research conducted there could provide insight into whether life could survive in the extreme environments "beyond the Earth". Earlier this year Lead Educator Ian Tippey joined a group of teachers for a visit to the mine where this and other research takes place. Here is Ian's account of his visit to Boulby Mine. 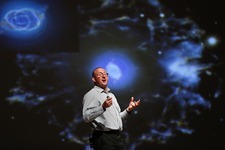 What’s space science got to do with protecting planet Earth?